HMD Global is working on a smartphone with Penta-camera setup at the back. And the smartphone was allegedly said to be Nokia 10. 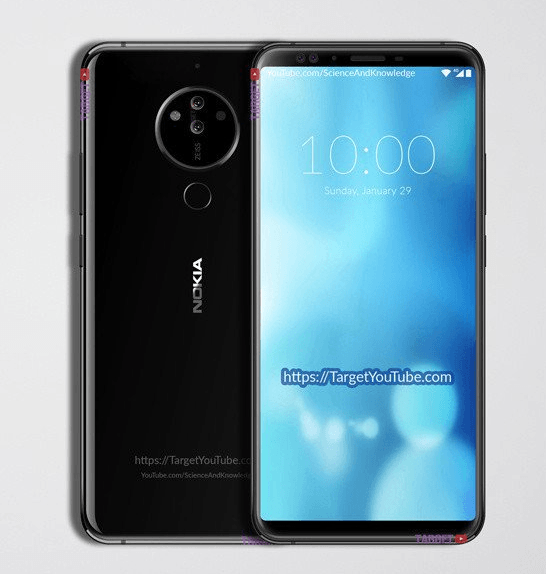 Now, a few concept renders of the said Nokia 10 with Penta-camera setup, glass back, and a gorgeous 18:9 display have surfaced online. While in the previous leak, we just got to see the camera module sketching, but in this leak, we got to see how the smartphone may look when it launches. But again, this is just a concept, and there’s no way HMD Global is involved in this. As you can see in the images, the camera module looks a lot like the previous generation Nokia models such as the Nokia Lumia 1020. Another report said that the phone would have two sensors vertically aligned, and on the left side, there’s an LED flash. It is also rumoured that there will be a primary sensor and other sensors will be integrated into a circular module and can be rotated to adjust the aperture and focal length. If HMD Global implements this setup, it will turn out as a sensation. And all the camera lens are said to be certified by Carl Zeiss. Below the camera module, there’s a fingerprint scanner which will reach the index finger. Then there’s the Nokia logo below the scanner. Rounding off to the front, the Nokia 10 is rumoured to have a 5.8-inch 18:9 display on the front. HMD Global might launch an 18:9 display smartphone at the MWC 2018 event in the form of Nokia 7 Plus, an upgraded variant of the Nokia 7. 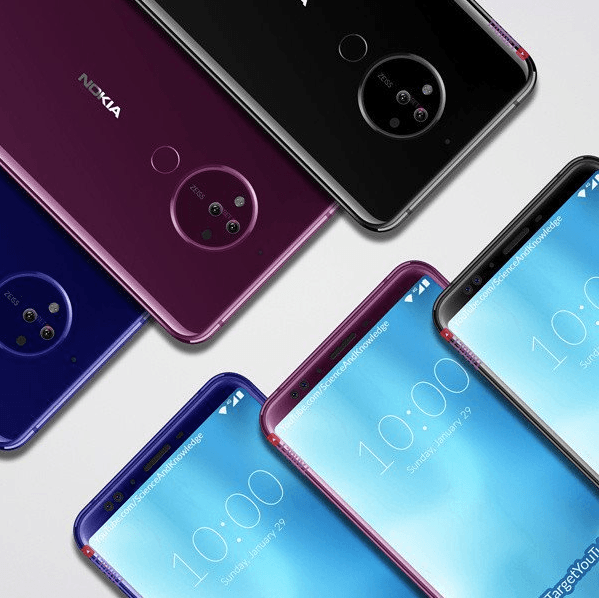 From the front, the Nokia 10 concept model looks like the current generation Honor devices with 18:9 display such as the Honor 9i, Honor 7X, Honor View 10. Also, the display is rumoured to be a 4K panel. A recent report from China stated that the Nokia 10 would be powered by the Qualcomm Snapdragon 845 SoC and is slated for Q3 2018 release. The phone may arrive in different RAM and storage configurations such as 6GB/64GB, 8GB/128GB. A 3500mAh battery is rumoured to power the device, and the phone is said to come out with Android 8.0 Oreo out of the box. That said, these are just rumours, and there’s no official confirmation from HMD Global at the moment. Also, it’s highly impossible that HMD will launch the Nokia 10 at the MWC 2018 event. So, we have to wait a little longer for the device. Stay tuned for more coverage on the Nokia 10.